11th Avenue Cafe Bistro is a new coffee place on the busy corner of Digholi Pukhuri and Guwahati Museum . This article is our take on this eatery . The ambiance of 11th Avenue Cafe Bistro is different and in a very good sense . Apart from just the nice furniture , and a good lighting effect , they also have a few books . So if you want to spend some here , you can always order a coffee and read something while sipping on the coffee . We all have faced those times when our date is late , haven’t we ?? We found the food of 11th Avenue Cafe Bistro quite ordinary . Few items like the English Breakfast are good , few other items like their Pizzas are mediocre while few others like their spaghetti were not much to our liking . So be careful what you want to eat !! 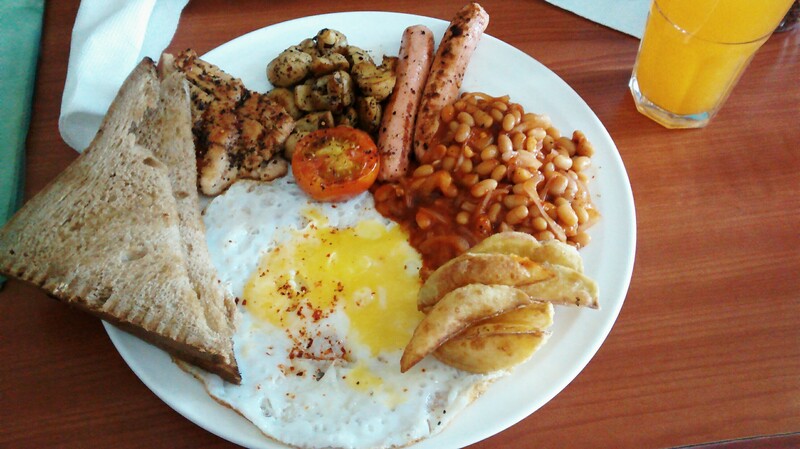 The service is kind – of slow in 11th Avenue Cafe Bistro , but that is not a problem if you are here to spend some time . If you want a quick byte , then this probably not the correct place .